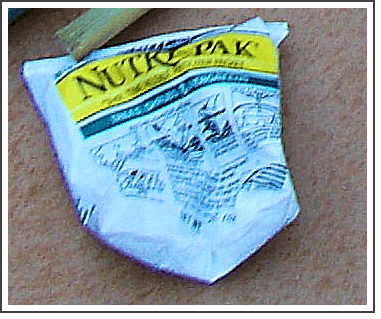 Nutri-Pak Fertilizer Packs','Still another measure which can be taken to insure the health of your planting is to place one of these small packets of time release fertilizer into the hole just below your planting. The nutrients slowly release into the soil, offering the planting more of the nutrition that sub-par soils don't provide, giving your planting the very best prospect for survival and health. Contact us for pricing on fertilizer packs. Planters who opt for the Tree Sentry™ with all of the options available - browse mesh, weed mats and fertilizer packs very often see their results go from 10-15% success rates to 98%+ success rates on 3-year surveys. Individual results vary of course, but if you properly select the species for the soil type and site conditions on your project, the Tree Sentry™ installed with mats and fertilizer packs will offer the very best peace of mind that your plant hours - and planting dollars - will yield tremendous results!